Smooth black cushion with chrome spokes. Has the common 3 bolt pattern mount. Wheels feature rubber steering wheel grip. Chrome center cap is included. 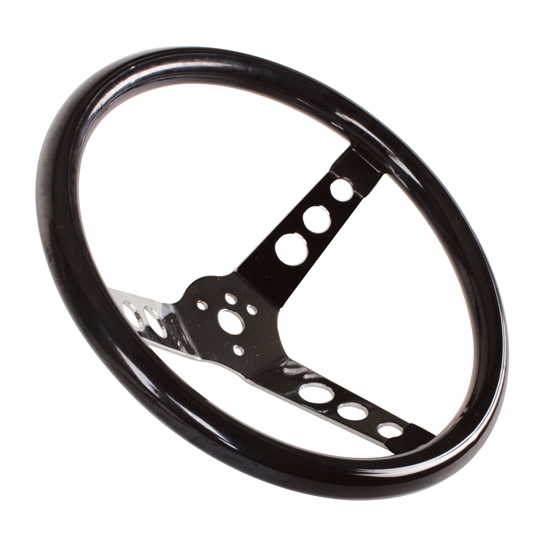 Note: These steering wheels require addtional purchase of a horn button retainer, not included with steering wheel. We offer our corresponding retainer (41010112) and various adapter kits for your specific application.